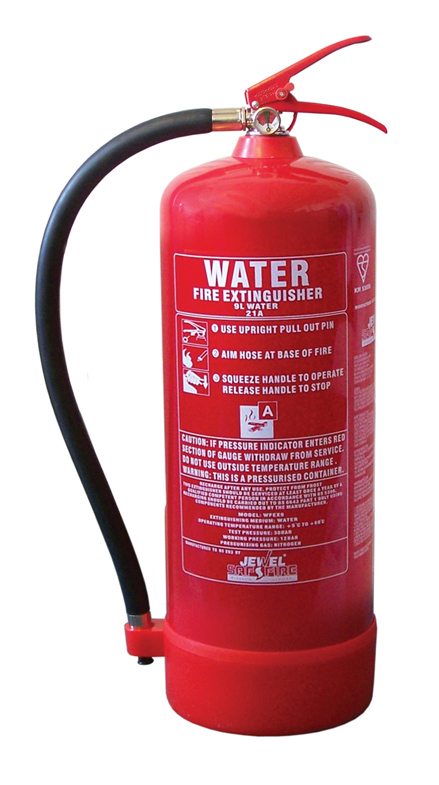 Firepower 9 litre water fire extinguisher, suitable for tackling free-burning materials such as paper, wood and fabrics. Kitemarked to BS EN3 and 21A rated, the extinguisher has an internal polyethylene lining, protective plastic base and corrosion-resistant finish. Operated with a squeeze grip action. Supplied complete with bracket.